Modern-day hearing aids are capable of receiving acoustic signals over a wireless link and also from the surroundings through the microphone. If the hearing aid receives input only from the acoustic environment, feedback cancellation proceeds according to the existing methodologies for bias reduction. However, the wirelessly received signal and the acoustic environment input, when emitted from the same source, can be very similar to each other or with a time-delayed version of each other, thereby having a high correlation between them. Both inputs can also be emitted from different sources and, thus, be less correlated with each other. In the aforementioned scenarios, acoustic confusion can occur for the user as the hearing aid receives both signals simultaneously. 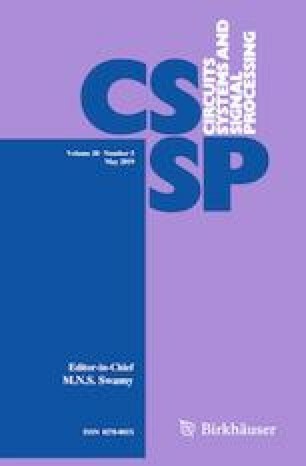 To improve the output signal quality and to reduce bias in an adaptive feedback cancellation system with a wirelessly received signal as well as an acoustic environment input, we propose a cost function, and the optimization of the feed-forward path and of the shaping filter for the wireless signal. The feed-forward path is designed to be a cascade of the required acoustic enhancement along with an FIR filter. We derive expressions for an optimum shaping filter and for an optimized feed-forward path. Improvement in loudspeaker output signal quality, normalized misalignment and maximum stable gain for each of the above-mentioned scenarios is assessed through numerical simulations. Adaptive filters Feedback cancellation Hearing aid Convergence rate Misalignment. This work is partially funded by the European Union’s Seventh Framework Programme (FP7/2007-2013) under the Grant agreement number ITN-GA-2012-316969. The authors would like to thank Prof. Toon van Waterschoot (KU Leuven, Belgium) for his valuable suggestions throughout this work.